The Mercedes Benz S-Class has long been the benchmark of luxury sedans all over the world. Introduced all the way back in 1972, the S-Class is by far and away one of Mercedes Benz’s most iconic models of all time. The S-Class has been a pioneer of vehicle safety standards and features as well as it was the first car with seat belts and the first car with airbags. The Mercedes S-Class is currently in its sixth generation and has been officially ranked as the world’s best selling luxury sedan. And it’s not hard to see why. This does entail massive pressure for Mercedes Benz though as they are expected to go above and beyond with each new generation S-Class. We just got a facelift for the current sixth-generation S-Class, so that isn’t going anywhere anytime soon. 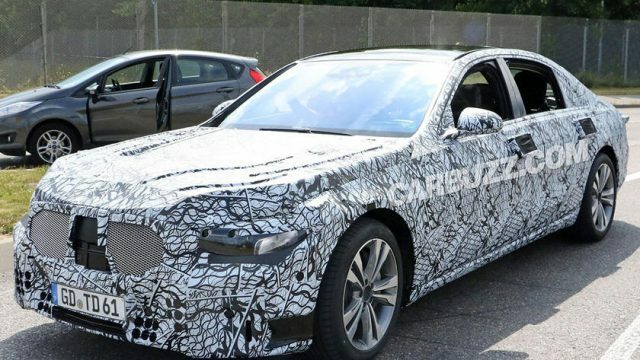 But images of the seventh generation Mercedes S-Class have already begun surfacing online. 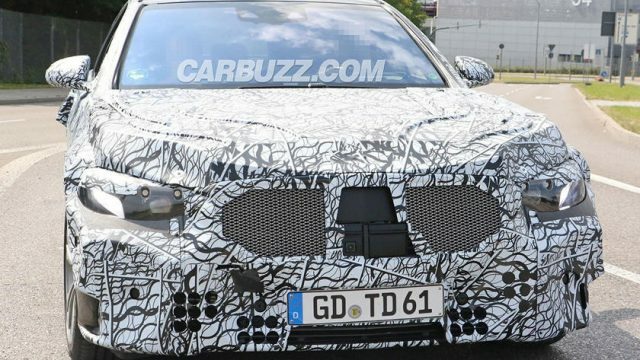 Considering the fact that the car is still around two years away from its official reveal it is expectedly hidden under a heavy layer of camouflage. In fact, if you take your first look at the spy photos the sedan in the image barely resembles a Mercedes Benz excluding the wheels. The front end is very bulgy, and the headlights and taillights look downright weird. On first glance, it looks a lot more like a Lincoln or a Buick than a Mercedes. But we guess that’s what they were going for, they don’t want to give away any styling cues this early on in the development phase. 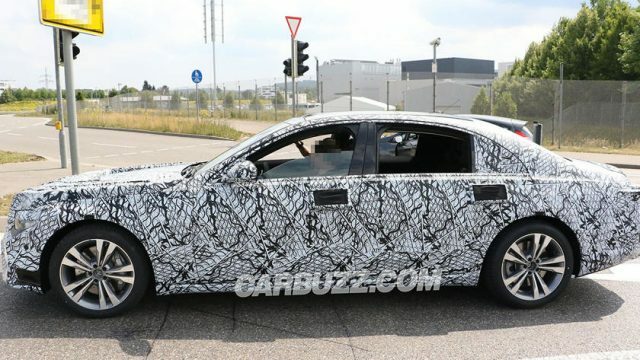 But one thing we can say for sure is the next-gen Mercedes S-Class will feature a brand new design language, whether its better or worse than the current W222 model remains to be seen. The seventh gen Mercedes S-Class will be based on Mercedes brand new MRA platform designed for rear wheel drive cars. Taking a look inside the cabin and as expected everything is hidden under a very heavy layer of camouflage. You can still recognize the distinct Mercedes Benz 3-spoke steering wheel, that hides behind what looks to be an updated drivers virtual display screen which looks even bigger than the version fitted on the current generation S-Class. There are some strange looking top mounted air vents, but those could change in the final production unit of the car. The mood lighting will also return in this generation S-Class, but apparently, Mercedes will take it to the next level. Things like colour changing air vents could even make a debut. The seventh gen S-Class is also expected to go all out when it comes to tech. The current gen S-Class is already is tech fest so we can only begin to imagine what Mercedes has in store for the new model. Safety and Connectivity will be as always a top priority for the company so expect an armada of that tech. Mercedes design boss Hartmut Sinkwitz said that the company would be putting a greater emphasis on “appealing to the occupants’ sense of touch” when it comes to the interior. What this means exactly is anyone’s guess. But what we do know is that the scroll wheel interface that is used for their infotainment systems could be dropped altogether for a brand new interface, one that is more touch based. 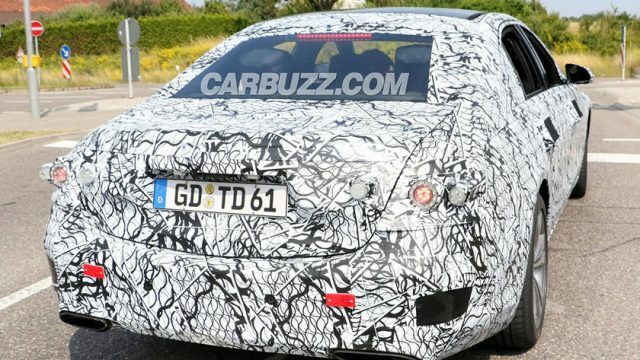 When it comes to powertrains almost every single engine in the lineup for the seventh gen Mercedes S-Class will be electrified. 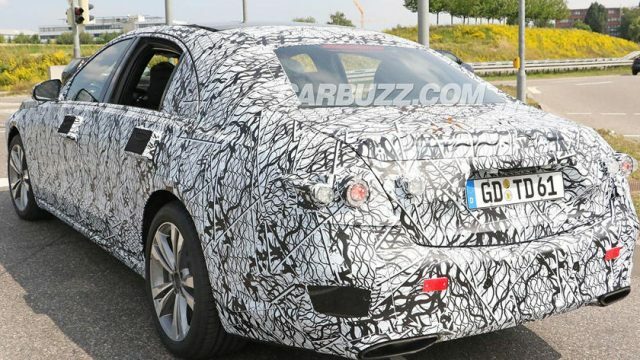 Either they will receive a mild-hybrid system or a pull plug-in hybrid system. Most of the models will come equipped with either a 3.0 litre inline-6 or a 4.0 litre V-8. Mercedes has said a completely electric S-Class is not going to happen though. But we could see something based on the S-Class on their brand new EQ platform. The luxury sedan will also come equipped with a Level 3 advanced self-driving system. So that means the sedan will be to drive itself in some condition and give feedback to the driver. 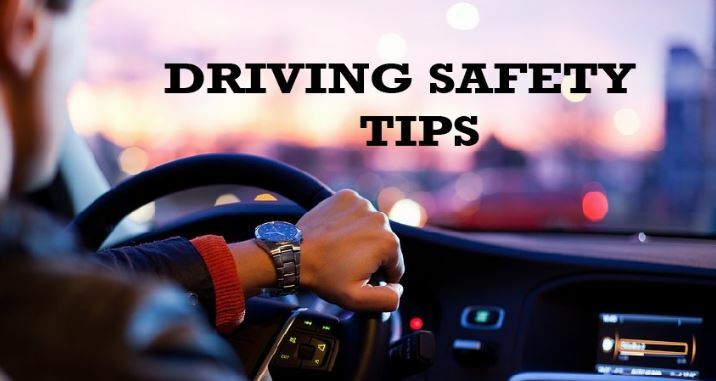 Here are some driving rules to abide by!